The first two to three minutes of class can set and determine the tone for the entire period. 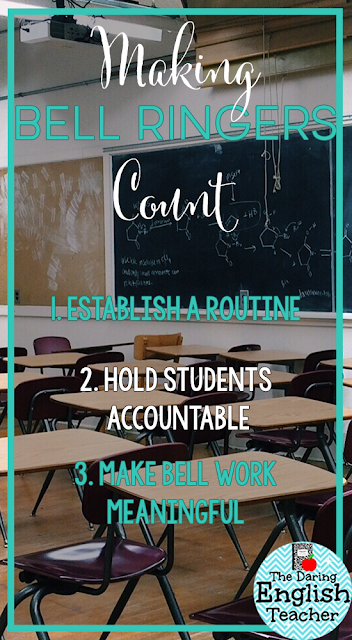 Right as class starts, there is so much to accomplish: take attendance, sign grade sheets, answer last-minute student questions, and more. The last thing any teacher wants is for those first few minutes to be rowdy, chaotic, and unproductive. That is why it is a great idea to start each and every single class period with some sort of Bell Ringer activity. When I first introduced bell ringers to my classroom routine during my second year of teaching, I went about it in an unorganized and counterproductive manner. I did not have a solid system in place for holding the students accountable for their work –which is one of the most important aspects of beginning class with such an activity in the first place. Once I established a system and routine, it worked. My system not only worked, but it kept students on-task, held them accountable, and provided me with an opportunity to interact with every single student one-on-one each and every single day. If you don’t have a system in place that holds students accountable for their bell ringer work, you are just losing valuable instruction time. All of my students have a copy of this double-sided Bell Ringer log in their notebooks. They know that as soon as they walk into my classroom that they need to begin their work. After the bell rings, I use this time to quickly take and enter my attendance, and then I give each student credit for their bell ringer work by stamping the day’s entry on the dedicates spot on the log. If students are late, messing around, or absent, they do not receive credit for their work that morning. This keeps students on task. Later, when it is time to grade the work, I simply count the stamps. You can download my Bell Ringer Activity Log for free HERE! The best way to take advantage of those first few minutes of class is to make Bell Ringer work meaningful. 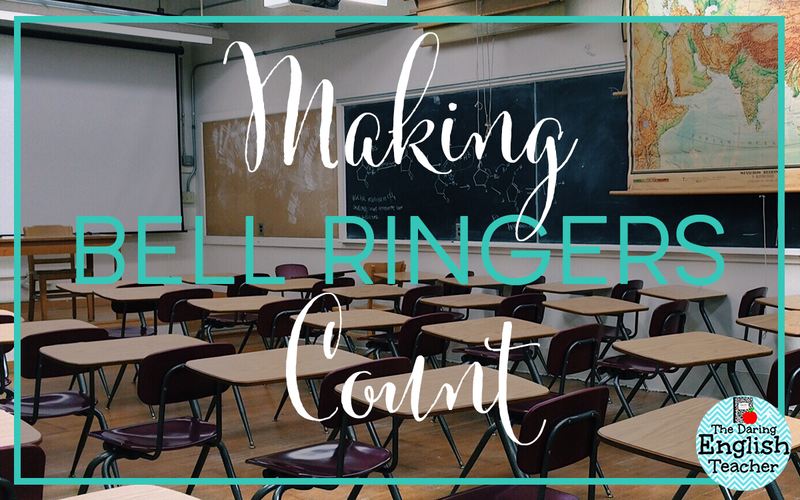 There are two types of bell ringers that I use in my classroom: sentence combining bell ringers and common core aligned writing response bell ringers. 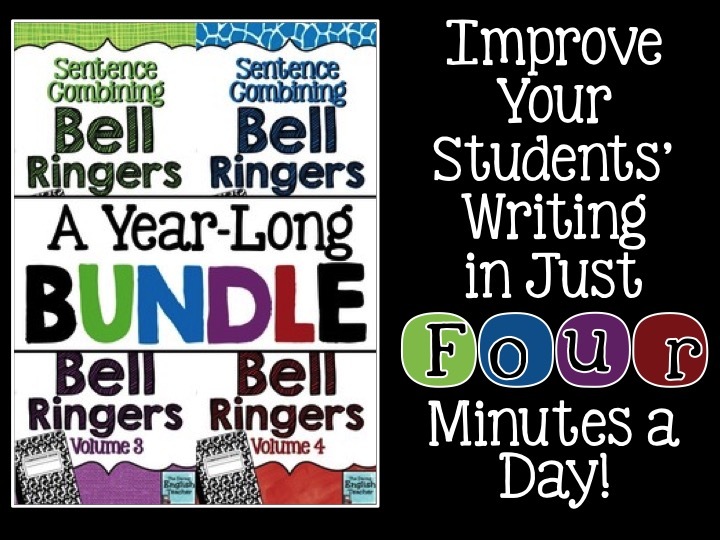 I love using sentence combining as a bell ringer activity because it helps students improve their writing. 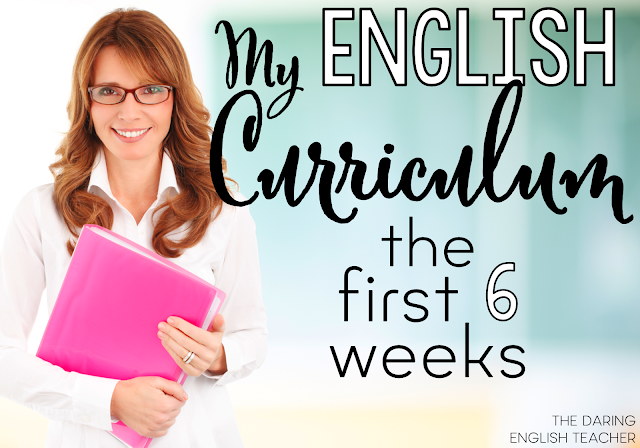 Each and every single day of class students actively focus on syntax as they construct a single, well-written and grammatically correct sentence. 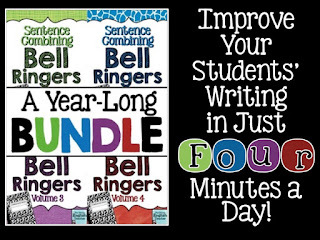 Just in a few minutes every day, students will become stronger writers. 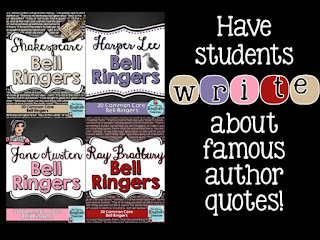 You can check out my Sentence Combining Bell Ringers HERE! Whenever we read one of our core literature pieces, I switch my bell ringer work to make it more applicable to what we are reading. 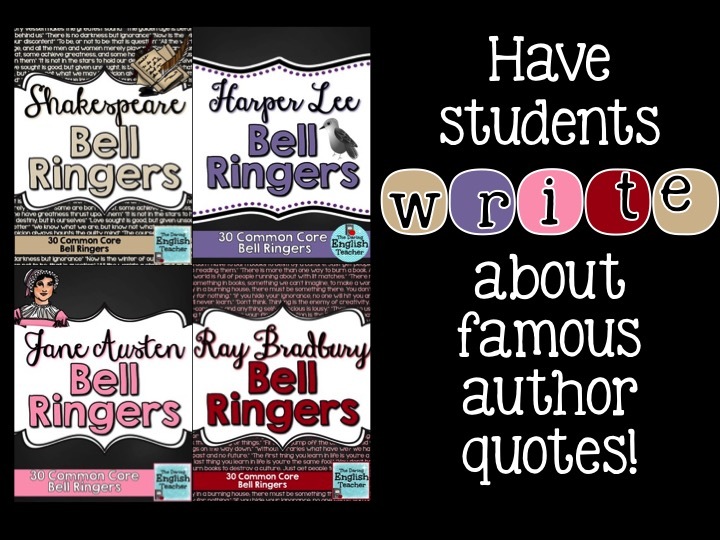 When I use literature bell ringers in class, I display a meaningful quote from the author along with a quick, common core aligned writing prompt. These prompts are either argument, informational, or narrative, and ask the students to relate to the quote and write a brief response. This is also a good way to bring the novel’s theme into a classroom discussion. 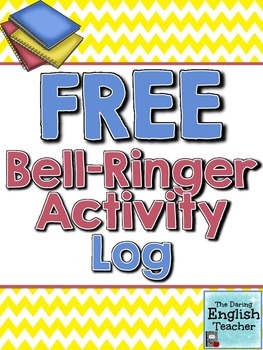 These bell ringers also serve as a great transition into the day’s reading or activities.